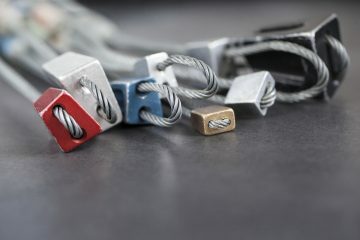 Most rock climbers get super excited when they begin collecting shiny climbing hardware! Quickdraws are usually an early buy following shoes, harness, chalk bag and belay device. Quickdraws connect your climbing rope to your protection (bolts or traditional gear) while you climb. Every quickdraw is made up of two non-locking carabiners and a sling known as the “dogbone”. While you can assemble your own, pre-made draws are more reliable and less expensive. 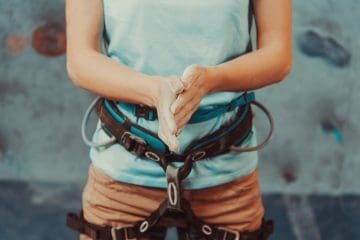 With so many models available, how do you know what are the best quickdraws for rock climbing? 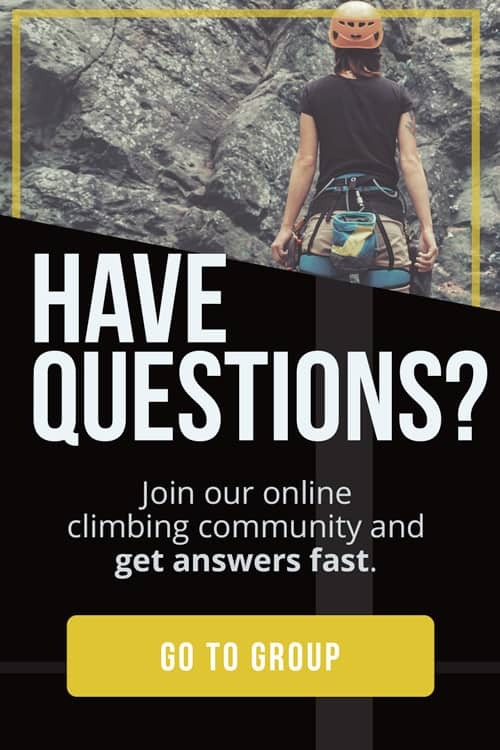 Here at The Adventure Junkies, our goal is to help make your life easier when it comes to gearing up for climbing. In this guide, we’ll walk you through how to choose a quickdraw and show you some of the best models of the year. 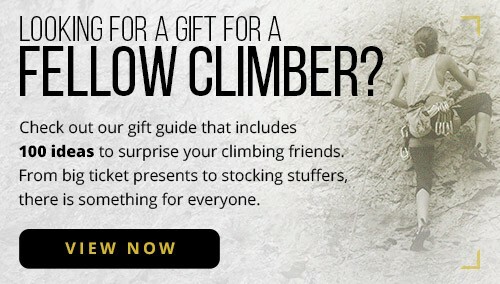 The style of climbing you do can help you narrow in on the best quickdraw choice for you. Sport climbers tend to prefer beefy draws. A wide dogbone is much easier to grab for those times when you’re working a route or need to pull on a draw. Large biners are also preferred because they make clipping easy and efficient. Solid gate keylock carabiners are great for sport climbing and top roping because they won’t get caught on the rope when unclipping. Traditional and alpine climbers are focused on weight. Quickdraws designed for these disciplines will have lightweight carabiners and skinny dogbones. 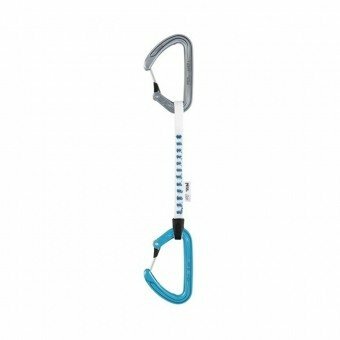 The carabiners are usually wire gate as these are lighter and less prone to icing up. All-around quickdraws have elements that make them suitable for the climber that does a little bit of everything. Often these draws have medium width dogbones, are in a mid-weight range, and have good overall handling. The carabiners on your quickdraw come with either a solid gate or a wire gate. All carabiners need to latch in some way when the gate closes. Solid gate carabiners have a groove in the gate which slides over the smooth biner nose, and are referred to as keylock biners. Keylock biners have no notch for the rope to catch on and are ideal for sport climbing. Wire gate carabiners often have a notch on the nose to latch the gate when it closes. In response to ropes getting caught in these notches while unclipping, some companies have released innovative solutions like hoodwire technology and modified keylock. 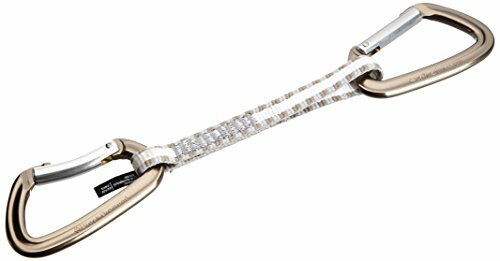 Wire gate carabiners are lighter, less prone to gate flutter, and do not ice over as easily as solid gate biners. The carabiners and the dogbone both contribute to the weight of a quickdraw. 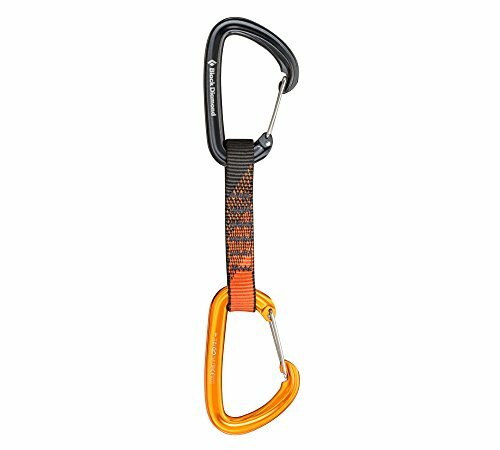 Alpine and traditional climbers use a lot of heavy gear, so lightweight quickdraws are a huge plus. 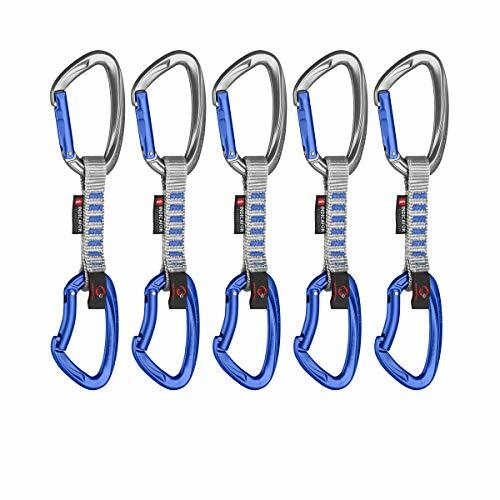 Small wire gate carabiners with narrow dogbones are common for this type of climbing. 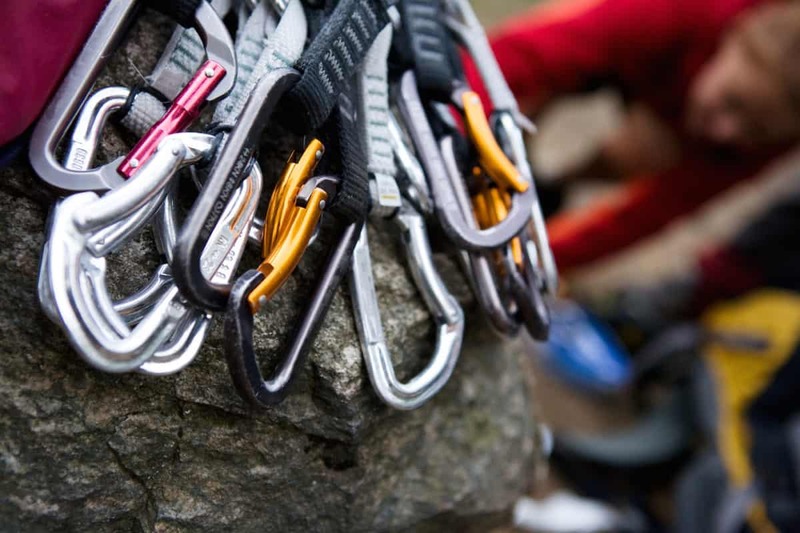 All climbing carabiners meet a minimum strength standard, however heavier carabiners are often rated to a higher kN strength. A quickdraw rated to 20 kN along its major strength axis can handle up to 4500 lbs of generated force. 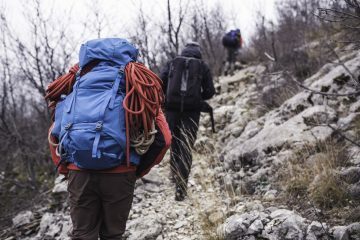 Controlled experiments that test the limits of gear have found heavy and higher strength carabiners often handle more high factor falls before warping or breaking. If you’re sport climbing and expect to be taking repeated giant whips on your quickdraws, look for heftier biners. The length of your dogbone comes down to personal preference. A quickdraw with a shorter dogbone will be less expensive, but longer quickdraws are more versatile. If you are climbing routes that wander, longer draws can help reduce rope drag. 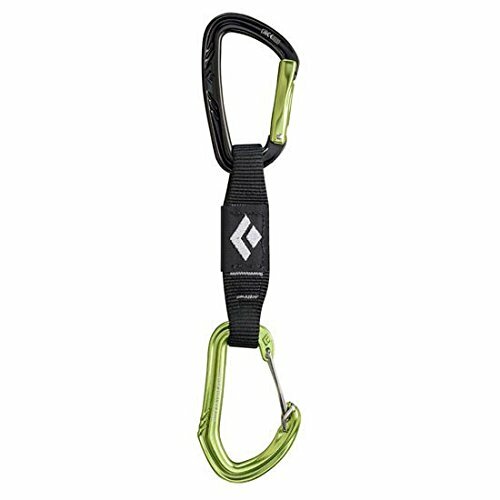 Always monitor the dogbone that connects the two carabiners on your quickdraw for wear. UV light and abrasion are the two big killers of slings. Dogbones usually last between two and ten years depending on the amount of use and the manufacturer recommendations. 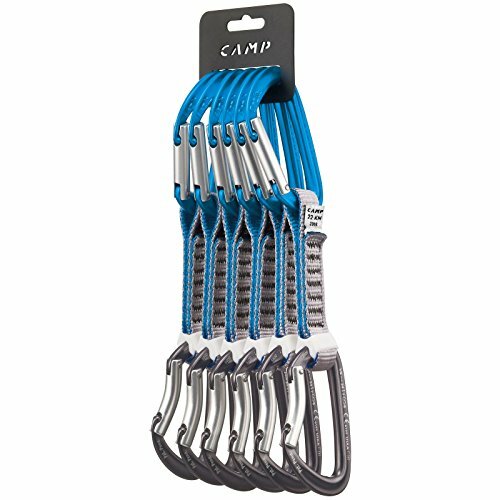 The lifespan of the carabiners is indefinite, but with a lot of use they will eventually need to be replaced. Watch the groove at the base of the rope-end biner, which can wear down and develop sharp edges after repeated use and falls. Also, watch for sticky gates that no longer close or other visible damage. Always follow the manufacturer’s recommendations on the lifespan of your gear. Check your gear frequently, and be smart.